It's been a quiet couple of days as I had a work Christmas party last night. Yes, I know, in November. Ridiculous. The silly season is upon us already. 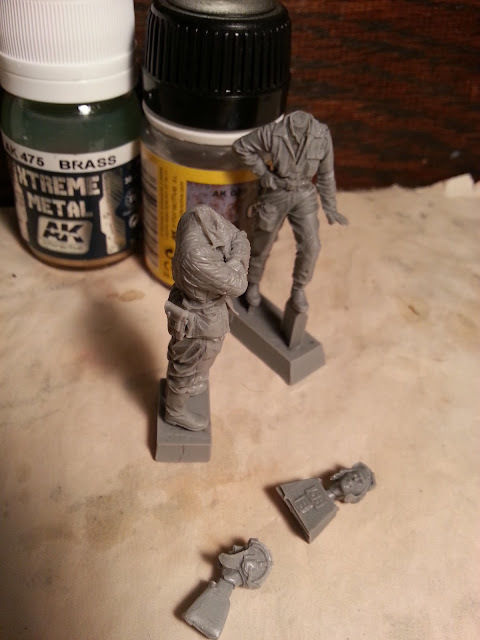 Anyway, tonight I was able to do a little work on the newest resin figures which recently arrived. I had previously washed them in soapy warm water to remove any residue on them from the casting process, and tonight I assembled them. 1, I'm going to leave their cast bases on, as this will make them easier to handle while painting. I *think* that the base will be fairly straightforward to remove once they are painted and finished. Fingers crossed. 2. I am leaving their heads off to paint separately. Heads and faces need so much close up detail work, and I am going to try to paint these separate to the body to make handling easier. I had to trim off some tiny supporting moulds which were holding the chin straps, and it was very delicate here. The resin is rather more brittle than I expected. 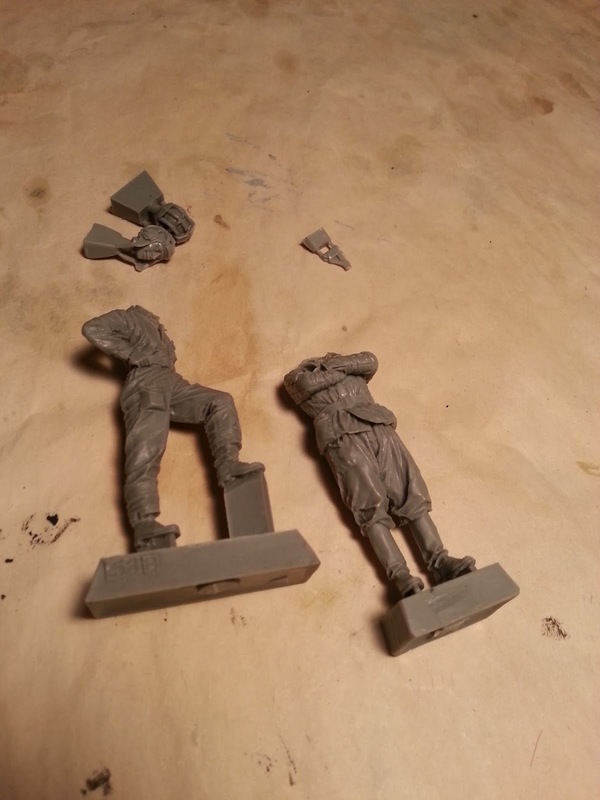 Both of these new ideas are very much based on me being able to remove the cast mould easily when the time comes. Hopefully this doesn't bite me on the arse. Time will tell. After. Not drastically different, I'll grant you.